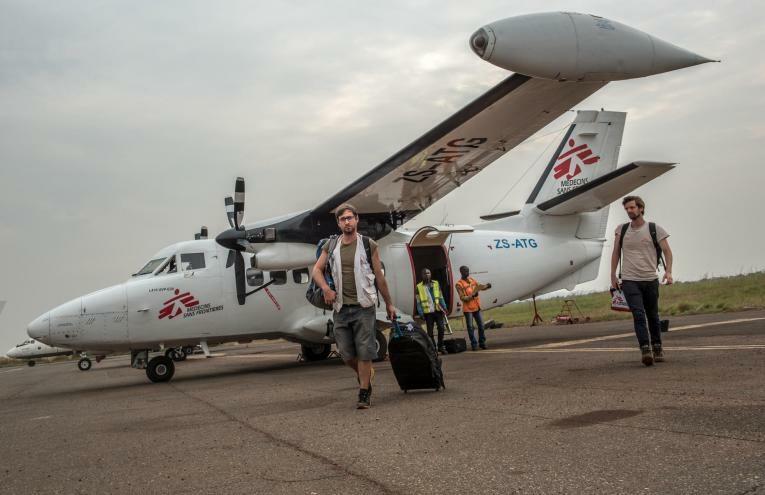 A first departure with MSF could be the start of a long career within the organisation. MSF supports a staff's long term commitment by offering them the chance to develop their skills and knowledge so that they can take on roles of responsibility either in the field or at headquarters. If you join MSF, you will be asked to attend a ‘Preparation for First Departure’ (PPDC) session. The PPDC is the first chance to get to know the association, and to start understanding how it works and its culture. It is also an opportunity to meet and talk to experienced MSF personnel. This preparation may be supplemented by more technical training that is sector-specific (logistical, administrative and medical). Throughout your time with us, the association offers a personalised monitoring programme, overseen by a pool and careers manager, to aid in your development within the organisation and in doing so giving you the opportunity to explore different opportunities. In 2017, the French section of Médecins Sans Frontières organised over 230 training sessions in Paris, Bordeaux, and its intervention locations: in total, over 3,000 French and international personnel members took part. What does a Project Coordinator do? John Johnson is a Project Coordinator for Médecins Sans Frontières. During an interview which took place in Maiduguri, north-eastern Nigeria in December 2016, he looks back on his career and his role, which involves supporting the medical and logictical teams to ensure they can carry out their activities. John's first mission with MSF was as a nurse in 2011. As he continued with MSF, he worked in a variety of roles and took on more responsibility. When a person decides it is time to move on from being a humanitarian aid worker in the field, MSF helps staff transition their experience into a career asset. Staff are able to utilize the skills they develop during their experience with MSF in a variety of ways. The skills acquired in project management, team management, analysis and reporting, negotiation and using foreign languages on a daily basis are valued in a number of sectors. Our partnership with Résonance humanitaire supports team members during this transition by providing access to a network of contacts: skills assessment, APEL requests and, in some cases, training. Over 2,000 professionals work in our field locations every year. Our association is constantly recruiting people with suitable skills for its intervention programmes. MSF national staff who are recruited in the field can apply to join the association’s international team.